There is a certain undeniable magic to a Kate Morton novel. Whenever I pick up one of her books, I know that I’m about to be transported through time into a haunting world full of mystery. I expect to be utterly beguiled by lush descriptions of beautiful old homes and gorgeous countryside, lulled into a dreamlike trance by lyrical prose while an intricate and spellbinding tale unfolds on the page. The Clockmaker’s Daughter gave me everything I expected and more! This is a story with a lot of moving parts, grand in scope and full of bewitching charm. Jumping back and forth through time, the story touches on the lives of a large cast of interconnected characters. In fact, given the number of characters and different time periods covered in this story, this may be Kate Morton’s most complex book to date. If this sounds daunting, rest assured that despite the many characters and multiple timelines The Clockmaker’s Daughter is every bit as engrossing as Kate Morton’s previous novels – if not more so. In fact, the complex plot may be the greatest strength of this gorgeous book. While reading, I found myself marveling over the way that all the different plot-lines were drawn together with such “clockwork” precision. Kate Morton is an expert at wielding happenstance and fate like tools to connect her characters across time. Accidents and coincidences work like magic, creating a world full of dramatic irony in which each surprising plot twist unfolds like destiny. An event in the distant past can echo through generations to affect people in the most unexpected ways. The truth cannot remain hidden forever – the past has a way of making itself heard. In this case, the past concerns a mysterious and charismatic woman called Birdie Bell – definitely one of the best narrators I have encountered in some time. It also involves a brotherhood of bohemian artists, a lost diamond, a tragic murder and a missing woman. The truth of what happened at Birchwood Manor in the summer of 1862 has been shrouded in mystery for over one hundred and fifty years. The discovery of a photograph will set events in motion for a long buried secret to emerge. A truly hypnotic tale that is bound to please both fans and newcomers, The Clockmaker’s Daughter is another wonderful read from one of Australian’s most beloved authors. This is a delightful book. It is a beautiful and richly described story of a house and the many lives that were interwoven with it and with each other, across the generations. It's rather more verbose than it could be (and therefore rather longer) but you won't suffer for it - while it may be verbose, the prose is poetic and weaves beautiful and intricate mental images of the places and times in the story. It's set in various different time periods, each one beautifully brought to life in great detail, as are the characters that inhabit them. The story itself is rich and complex, and reveals itself to the reader in a pleasing way, giving them plenty of time to mentally sift through the clues and consider how the pieces of the puzzle fit together. There are plenty of characters to keep track of, but it's not overly difficult. It's long, but it's worth every page. 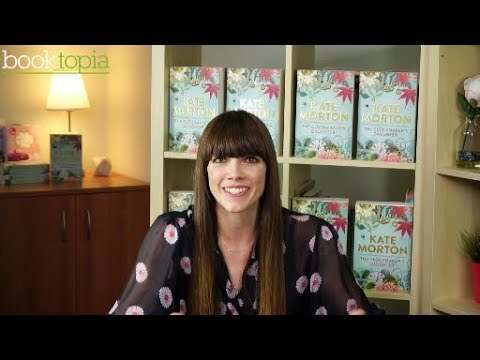 Having purchased all of Kate Morton's books, I was really looking forward to her new one. However, The Clockmaker's Daughter was a real disappointment. Too many characters in too many stories and trying to tie them all together was frustrating and difficult at times. Why she has chosen to complicate a story to the extent that she has I can't begin to understand. I also found it to be too drawn out but I was determined to finish it and was pleased to do so. I would strongly not recommend it at all and I certainly will not rush in to buy her next book. A very enjoyable mystery, romance. I thoroughly enjoyed Kate Morton's latest novel, although I admit it took me a while to understand who all the characters were & their relationship to each other. It is part mystery and part romance and so well written. I found the last part of the book very engaging and suspenseful. 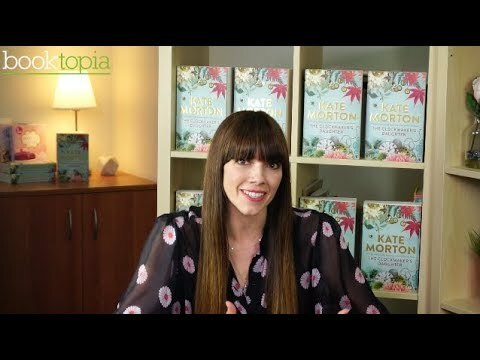 Another beautifully told story from Kate Morton. This may be my new favourite. This was a good story which had engaging characters and was imaginative. Pathetic! Don't waste your time or money! Don't waste your time or money! Disappointing right to the very end!!! Found this strange at first to get all the generations in my mind - but worthwhile read! I think I have read all Kate Horton's books now. They have all the twists and turns in a book that I love. Having read all Kate Morton's novels I was super excited to read this - and I wasn't disappointed! Of all her books this is now my favourite. A lot of characters and storyline's - so there is potential for it to become confusing. But I found the story and characters flowed and merge together at the end effortlessly.